Flexstone is a decorative concrete system with a unique technology developed in India by a group of young and driven entrepreneurs. 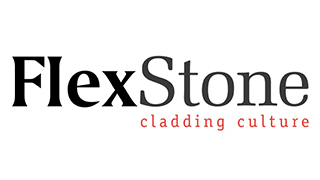 Understanding the need of designers and the evolution of the construction industry, a new culture, "cladding culture" is developed by Flex Stone Inc. Inspired by nature and its splendid beauty, FlexStone offers a wide range of modern and classical cladding options suitable for both exterior and interior application. Our belief in continuous innovation, through research and product development has led us to introduce various architectural products, which are innovative, less time consuming and price competitive. used are from recycled products. And this is how we contribute our bit in preserving nature! We have an expanding network of channel partners across India, who showcases FlexStone products under an exclusive gallery set up. Some of our esteemed clients are as mentioned below. Our endeavor has been to make a green product where stone mining for cladding purpose is reduced. And hence, we manufacture eco friendly products where 80% of the raw materials used are from recycled products. And this is how we contribute our bit in preserving nature!